Ella's calendars have been an annual tradition for many, many years. Even though she's gone now, and sorely missed, the tradition continues with a collection of photos drawn from throughout her life. In honor of Ella's memory, the new calendar is sold at cost, with no markup. 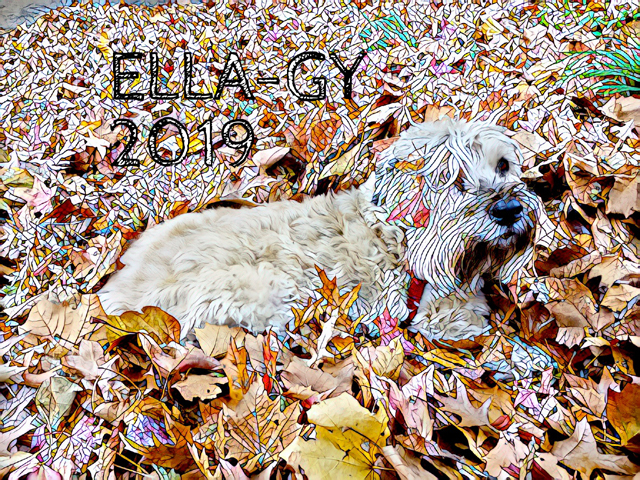 Ella Beast (a/k/a Ella the Wonder Dog) was a beloved soft-coated wheaten terrier who lived from 2003 to 2018. She spent most of her life in New York City and Chicago. Ella enjoyed stalking squirrels, getting ear skritches, and pushing a basketball around with her face. She starred in her own line of calendars and YouTube videos. Copyright © 2004-2018 by Ella the Wonder Dog.